There are hundreds of Kodi addons dedicated to TV and movies but only a handful offer quality service and functionality. 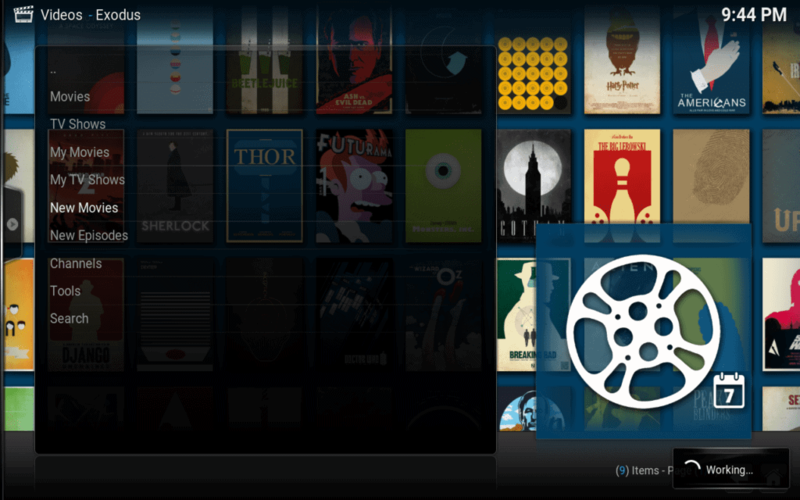 These 25 addons offer a great TV and movie watching experience through Kodi. Our March 2019 addons list contains some exciting entries. You can jump straight to our list of what’s new in March here. Looking to stream movies using different Kodi addons? Whether you want more information on addons like Covenant and Exodus, or Tubi TV and Crackle, you’re in the right place! We’ve searched through a large number of repositories to locate the 20 best movie Kodi addons that will let you watch movies on Kodi to your heart’s content! 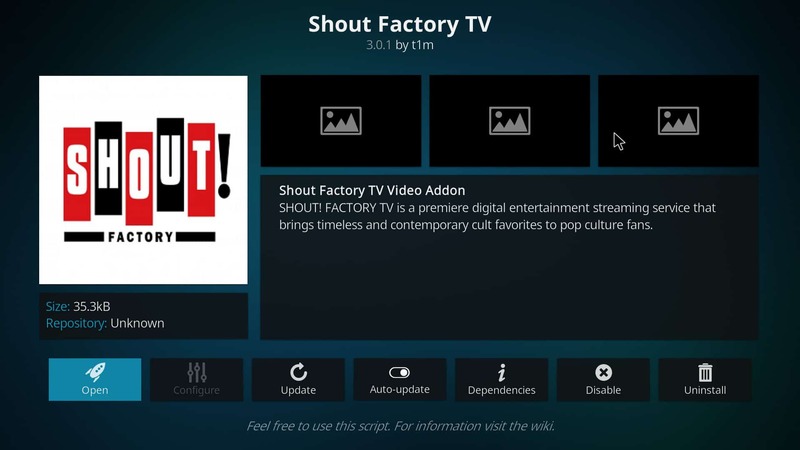 4.1 Newest addon for March 2019: Xumo – live TV, movies, and more! We’ll walk you through how to install each of these addons just below. Install the latest Kodi app from the Kodi.tv website. It’s that simple! You can load those addons from your home screen. However, before you stream any of those addons, you’ll want to make sure you’re using a virtual private network, or VPN. Your ISP may try to throttle your internet speed when you stream movies on Kodi. Additionally, there are some risks to using any Kodi addon, even official ones, as these addons have been hacked in the past. To protect your streaming quality and security when using Kodi, we recommend a VPN. Your ISP can see what you stream online and in some counties can share this information with third parties. In the US recent law changes mean this information can be sold and shared with other organizations, officials and companies. A VPN encrypts your data so your ISP, hackers and others cannot see your online activity. IPVanish is one of the more trusted options available to Kodi users, is fast, cheap to use, and lets you install it and run it simultaneously on up to 10 devices at the same time. BEST VPN FOR KODI:IPVanish is our top choice. Has a large uncongested network of servers and achieves good speeds. Strong security and privacy features make IPVanish a favorite for Kodi users. Try it risk-free with the 7-day money back guarantee. Newest addon for March 2019: Xumo – live TV, movies, and more! 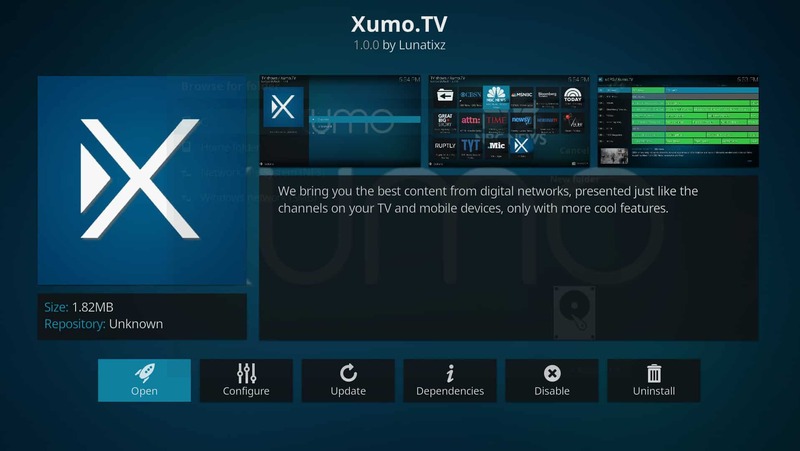 Xumo is a free IPTV TV service, similar in form and function to Pluto.tv. The service has a slightly larger selection of channels than Pluto.tv, and also includes a good number of interesting channels you will only find on Xumo, including a channel for Hi-Yah, the kung-fu-only streaming service. You can download and install Xumo directly from the official Kodi addon repository. There are also large number of other quality addons available, with some interesting new entries into the field. We like the Charge TV Live (here) addon, which provides a plethora of B-movie classics. Tubi TV (here) is also a quality addon which has more titles available than Netflix. BBC radio and TV programs come in the form of iPlayer WWW as an addon for Kodi. You can watch live TV, catch-up TV programs and radio content from the BBC iPlayer website. Keep in mind that most content is UK only, so you’ll have to set your VPN to the UK to use it. Not all VPNs work so check out our article on which beat the BBC iPlayer VPN ban. iPlayer WWW is available in the Official Kodi Addon Repository. 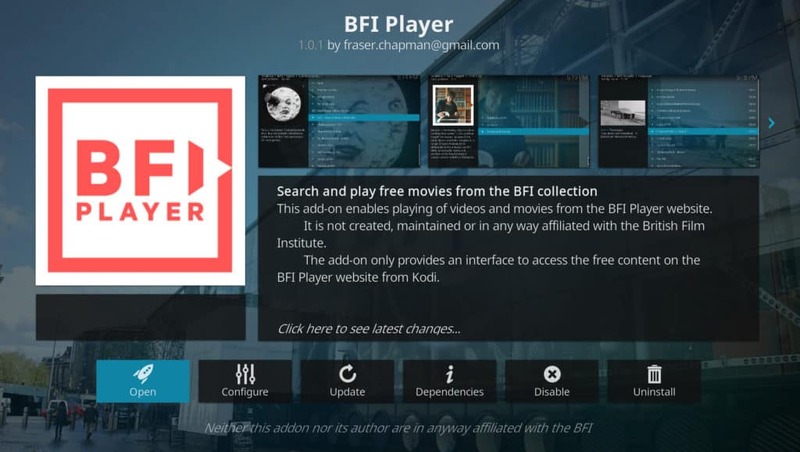 To learn more on how to install and use iPlayer WWW on Kodi, click here. If you want to integrate paid streaming services like Netflix, Hulu, and Amazon Prime Video into Kodi, the best cross-platform solution is PlayOn. For $2.50 a month, this streaming DVR saves video files into an MP4 format for playback. It includes a feature that allows you to automatically skip ads. You will need a Windows PC to record the video onto using the PlayOn Media Server app, but the Kodi addon works on any operating system. PlayOn is a fully-legal and interesting way to connect your paid streaming accounts and fully integrates with the Kodi media player. Subscribe to PlayOn here (includes a 30-day money back guarantee). 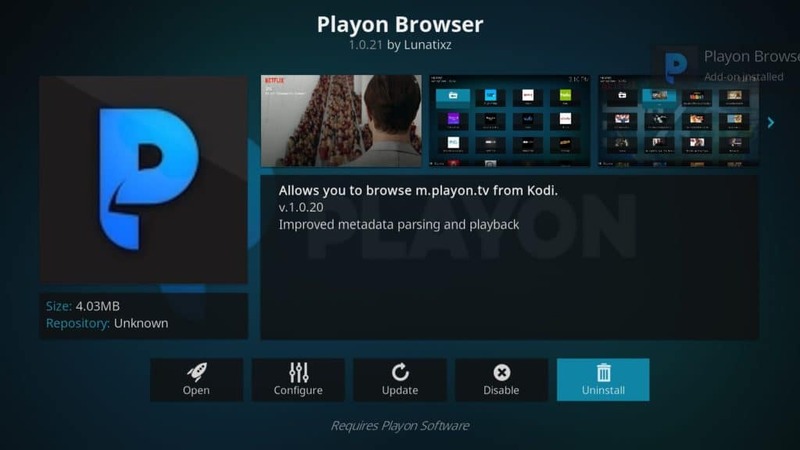 You can find the PlayOn Kodi addon in the Official Kodi Addon Repository. YouTube remains a popular source for TV shows and movies. Any movie or TV show, whether full episodes or video clips, that you can find on YouTube, you can find quickly and easily on the YouTube addon. Perhaps the best part of using the YouTube addon over accessing the site through a web browser or other options is the fact that you can bypass all of the somewhat annoying side banners and video suggestions. In fact, you don’t even get the annoying advertisements that play before your videos either. When trying to use the YouTube addon, you won’t be able to access content until you pair your device. When you hit “sign in”, you’ll be given an activation code and prompted to go to youtube.com/activate to pair. You may need to do this twice in order for it to work. 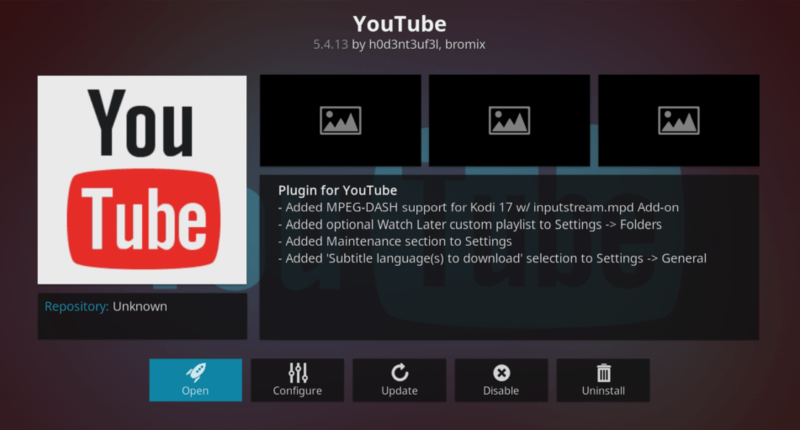 You’ll find the YouTube Kodi addon in the Official Kodi Addon Repository. YouTube is a fully-legal option for streaming video. While you may run into pirated content on YouTube, this is rare, and YouTube is fairly quick about taking down such content. USTV Now is an interesting service. Although more specifically designed for US military service men and women and expatriates who are overseas, pretty much anyone can sign up for and use the service. USTV Now costs $19 a month for 28 cable channels and limited DVR services. You can pay out $39 a month for an option that tacks on unlimited DVR. With USTV Now, you can get access to hundreds of movies and TV shows. Whether they’re shows you saved through DVR, or on-demand replays, you can access that content through the USTV Now addon. USTV Now is considered legal at this time. You can find it in the Official Kodi Addon Repository, however, this is an older version that may not work. Click here to check out our USTNow installation guide. For the newer version of this addon, you can check the SuperRepo or Kodisrael addon repositories. PlayStation now offers a TV streaming option known as PlayStation Vue. 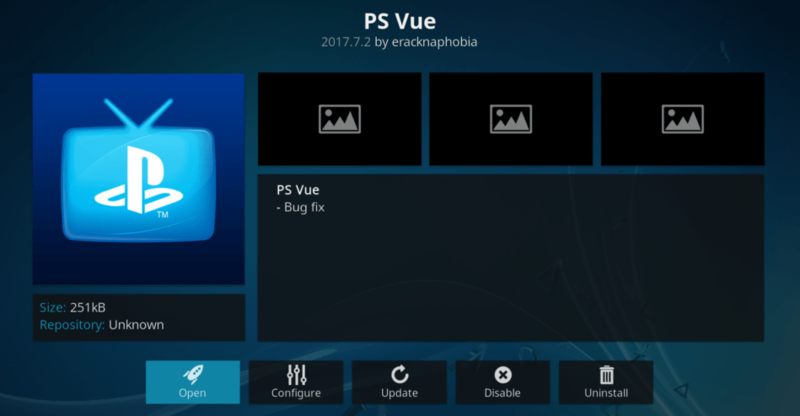 After signing up for a PlayStation Vue account, you can access that account through Kodi using the Kodi addon you’ll find in the Official Kodi Addon Repository. The service is a bit on the pricey side ($39.99 a month), but offers not only a DVR option for recording shows and movies but also on-demand movie and TV show streaming, just like you’d find with a cable subscription service. PlayStation Vue is a fully legal option, and connecting to the service via the Kodi addon violates no copyrights. You can only connect to this service once you’ve created an account and by using your account credentials. Looking for a great legal movie streaming option with tons of films to watch? The little-known FilmRise addon may be just what you’re looking for. FilmRise is a film and TV distribution company that acquires licenses and offers all of that content free online. FilmRise offers over 7,500 titles, easily made available on YouTube and therefore easily available through Kodi. 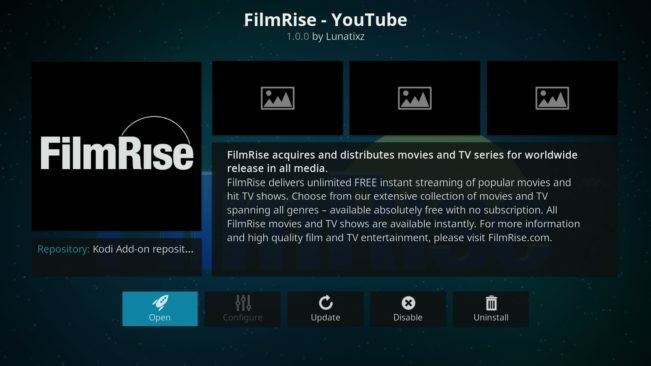 There’s more than one FilmRise Kodi addon, but the one you’ll want is FilmRise – YouTube. This one provides access to all of the FilmRise content that’s available on YouTube, which is far more than you’ll likely know what to do with. You can find the FilmRise addon in the official Kodi Addon Repository. The Crackle addon feeds the Crackle movie library directly to Kodi for free. A few words come to mind when it comes to Crackle. Specifically, those words are “how is any of this legal? ?” Wonderfully enough, it’s all perfectly legal, as Crackle is Sony’s free online video library, offering a wide range of Sony-licensed films. Given that Sony is a movie powerhouse, you should not be surprised to find some high-quality content here as well. That includes the Will Smith boxing movie Ali, action film Bad Boys II, and the 2005 comedy remake of Guess Who. 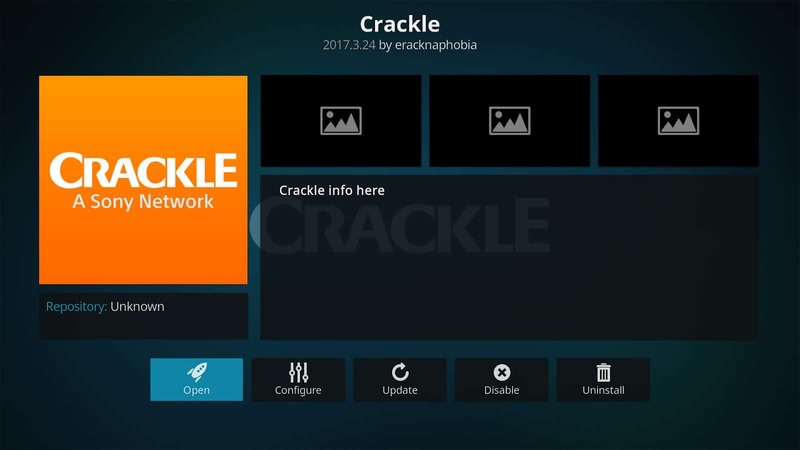 Several versions of Crackle exist in different Kodi addon repositories. However, the one you want is found in eracknaphobia’s repository. Into classic, license-free films? Internet Archive [Video] is the addon for you. The Internet Archive is a massive online database replete with all kinds of content, from software to music. Sort of like the Library of Congress for the internet, the Internet Archive also has a vast video library you can access through Kodi. As there’s no paywall or subscription necessary to view the content, you’ll be able to watch classics like His Girl Friday and As You Like It with little effort. The Internet Archive [Video] Kodi addon is fully legal, but you won’t find it in the official Kodi Addon Repository. Instead, you’ll need to turn to the SuperRepo addon repository. Note that SuperRepo has a mixture of official and unofficial addons, so you’ll need to use a bit of caution with this repository. SnagFilms is a film and tv distribution company with a similar business model as FilmRise. Like FilmRise, SnagFilms acquires complete movie and TV licenses and then offers a large amount of that content free online. While SnagFilms has a slightly smaller library, it’s still huge–over 5,000 movies and TV shows are available here. You can enjoy a large selection of SnagFilms content freely and legally using the SnagFilms Kodi addon. 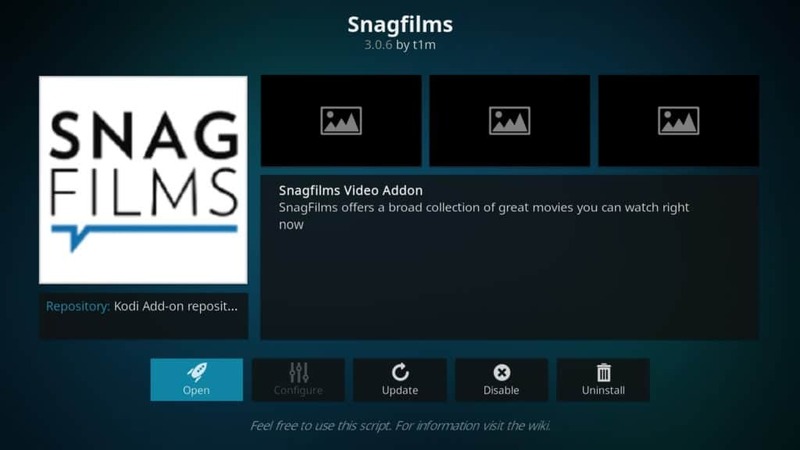 SnagFilms is available in the official Kodi Addon Repository. Switzerland-based streaming service Viewster offers up free movies and TV shows. One of the best things about Viewster is that you can watch it from anywhere. Viewster is available to an international audience without region locking. That doesn’t apply to those of you in places with content filtering, such as China, however. Viewster features a large content library of anime as well as originally licensed TV shows and movies you won’t find anywhere else. 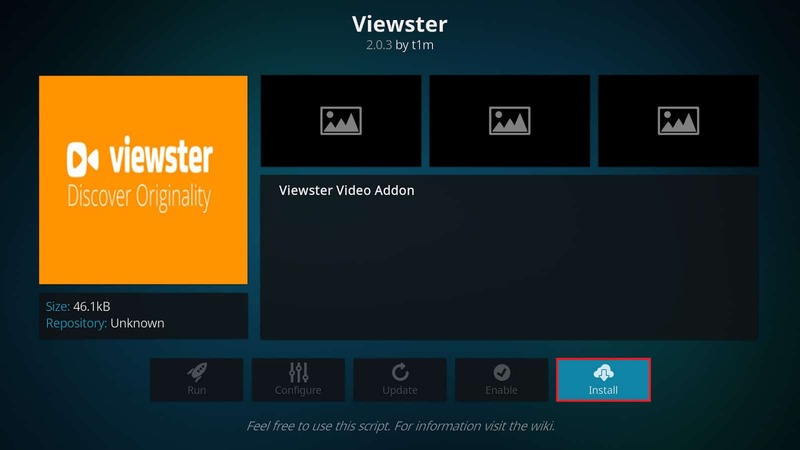 You’ll find the Viewster Kodi addon in the Official Kodi Addon Repository. The only way to describe Big Star Movies is “amazing”. This addon pulls in the large free library from the Big Star Movies website. Big Star Movies offers unique TV shows and movies stretched across every popular genre. Thankfully, the Big Star Movies Kodi addon is also well organized, scraping the official site for all of the major categories. Big Star Movies also has a premium content, but these are unavailable in the Kodi addon. 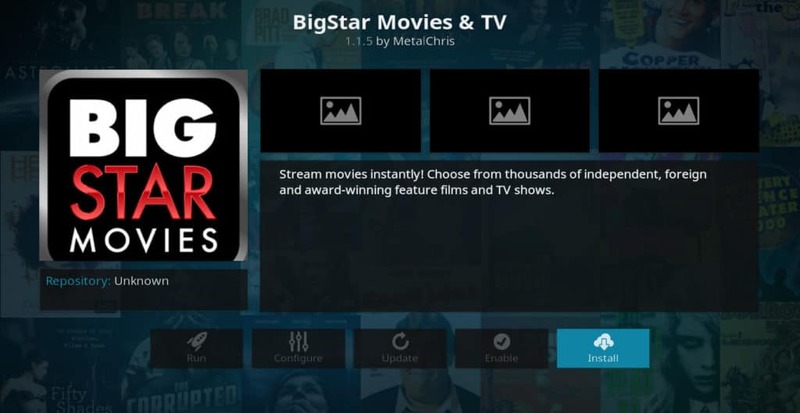 There is no option to log in to a Big Star account through Kodi to access that content. The Big Star Movies Kodi addon is legal and free, but not located in the Official Kodi Addon Repository. Instead, you can find the most updated and trustworthy version in the MetalChris Repository. The BBC iPlayer isn’t the only game in town for British TV. 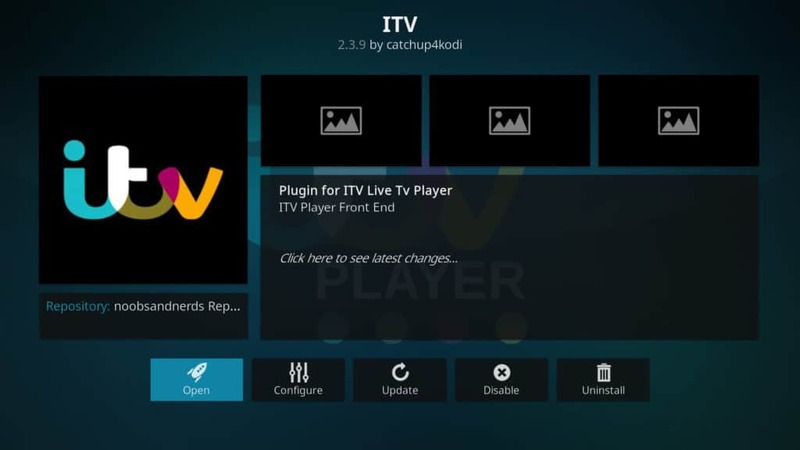 If you’re looking for another load of quality content, the ITV Kodi addon provides a mixture of live TV streaming and on-demand streaming for TV shows and movies. You’ll get all of the ITV Player content through this addon, including American TV shows licensed to ITV such as Family Guy and Pawn Stars. Like the BBC iPlayer, ITV region locks their content. However, unlike the BBC iPlayer, you don’t need a TV license to access ITV’s content. You will still need a VPN connected to a British server if you’re outside of the UK. You can find the ITV Kodi addon in the noobsandnerds Addon Repository. It’s safe to say that your Kodi installation is effectively incomplete without Tubi TV. This free streaming service boasts over 50,000 titles, from movies to TV shows, and covers the gamut of every genre you can imagine. And although it’s a free service, it still has over 600 highly rated TV shows and movies, many of which of top scores on Rotten Tomatoes. Ostensibly, Tubi TV is able to offer all of this great content because it’s ad-supported. However, when you run your Tubi TV streams through Kodi, the media player automatically filters out the ads. That means you can enjoy Tubi TV without having the ads interrupt your viewing experience. While Tubi TV boasts a large content library, you’ll find that different regions have certain titles geographically locked. If you want to unlock the full Tubi TV library, you’ll need to use a VPN. Specifically, you’ll find different content libraries in the U.S., U.K., and Canada, among a small handful of others. 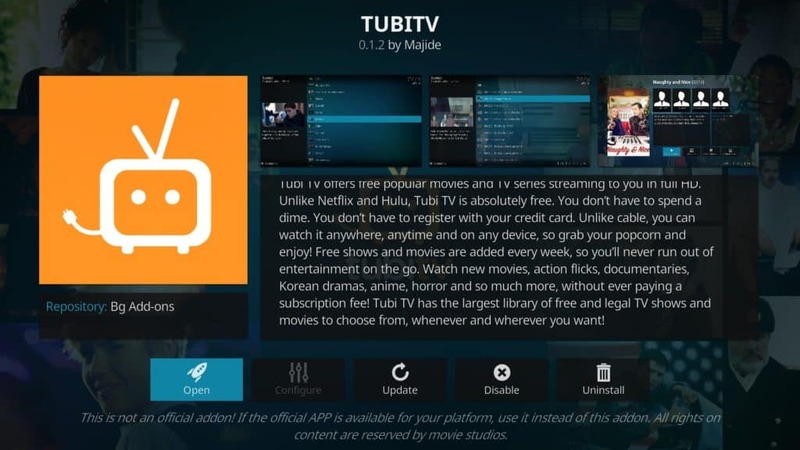 You’ll find the Tubi TV addon available in the Official Kodi Addon Repository. You can read more about Tubi TV using our detailed installation guide. Operating similarly to Tubi TV, Popcornflix is a free-to-use movie streaming service that you can also download and install for free on Kodi. Offering both TV shows and movies, Popcornflix provides TV shows and films across every genre you might be looking to enjoy. You’ll even find some less-common categories, including Bro Movies, Asian Action, Shout! Factory TV, and a holiday-themed Tis The Season. You’ll find the Popcornflix Kodi addon in the Official Kodi Addon Repository. Although Popcornflix is not quite on the level of Tubi TV, it’s still an excellent addition. You’ll find some quality flicks in its library, including the hit film There Will Be Blood, and the Japanese movie that “did it first” before The Hunger Games came into existence, Battle Royale. Did you miss an episode of one of your favorite US TV shows? There’s a chance (however small) that you can find it on USTVCatchup. The USTVCatchup addon pulls streams from legal, free sources. Most options are coming directly from over-the-air channels that don’t require a cable or pay-TV subscription. The options here are slightly limited, but come in good quality and feature shows from top networks such as HGTV, Food Network, and the Travel Channel. 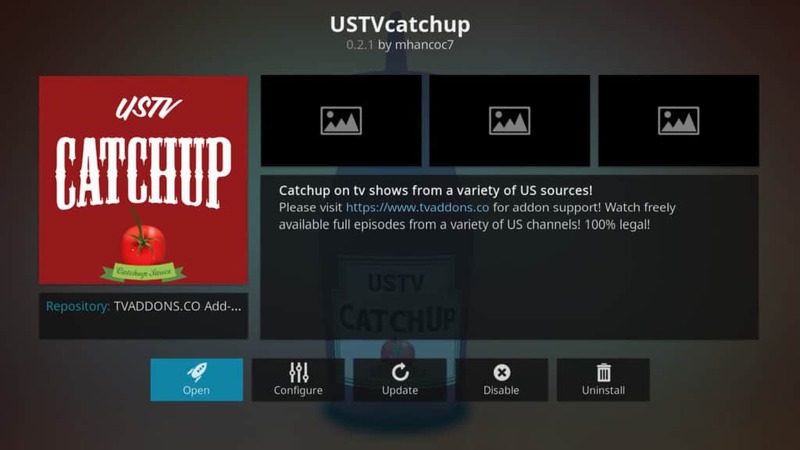 You can find USTVCatchup in the TVAddons Addon Repository, or direct install through the Indigo addon. If you’ve never heard of the British Film Institute, today is your lucky day. British film has a long and interesting history, with many unique and historic content pieces that any film student or film buff should watch. You can watch a plethora of British films through BFI Player. Through this addon, you can find documentaries, kids cartoons, and political commentaries from yesteryear. You can install this addon directly from the Official Kodi Addon Repository. If it has an expired copyright, you can find it on Black and White Movies. Those who love older films will find Black and White Movies is a quality Kodi addon. 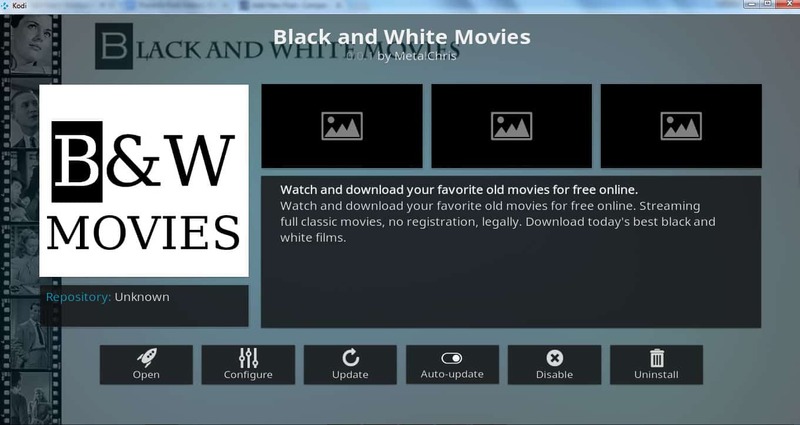 Even better, Black and White Movies is one of the few Kodi addons we’ve found that lets you download movies directly from within Kodi. Black and White Movies is available in MetalChris’ Repository. Documentaries still count as movies, right? Of course, they do, especially if you love to keep up with what’s happening around the world. There are few documentary movie addons that do a better job than Documentary Storm. With a dozen categories and hundreds of films scrapped from around the web, you’ll find Documentary Storm is a good go-to Kodi addon for when you need to educate yourself about the world. 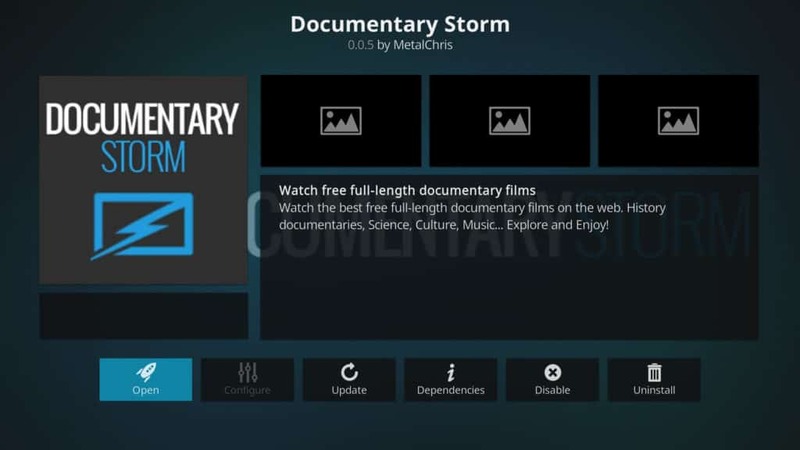 You can find Documentary Storm from MetalChris’ Repository. Sinclair Broadcasting Group recently released a new website that broadcasts free content on a schedule. The network also claims to have sports entertainment, but the primary focus is on action movies and TV shows. Many of the movies and TV shows are older classics or B-movies, but the selection is pretty fantastic, nonetheless. Charge! is completely free to view, making it a perfect addition to your Kodi addon lineup. Unfortunately, Charge! is not available anywhere but the US. However, a VPN will work to bypass the content blocks Charge! employs. You can find Charge! TV Live Official Kodi Addon Repository. Also coming in from Sinclair Broadcast Network, Comet TV Live is a free, live broadcasting science fiction network. The focus here is more on TV shows than on movies, but Comet TV provides a fair mixture of both to users. As is typical with free sci-fi, you’re going to find a hefty amount of B-movie content here, but also, as a sci-fi fan, you may be perfectly OK with that prospect. There are some heavy hitters available, such as the original Mad Max, but you’ll also find fan-favorite TV shows, like Stargate SG-1 and Babylon 5. 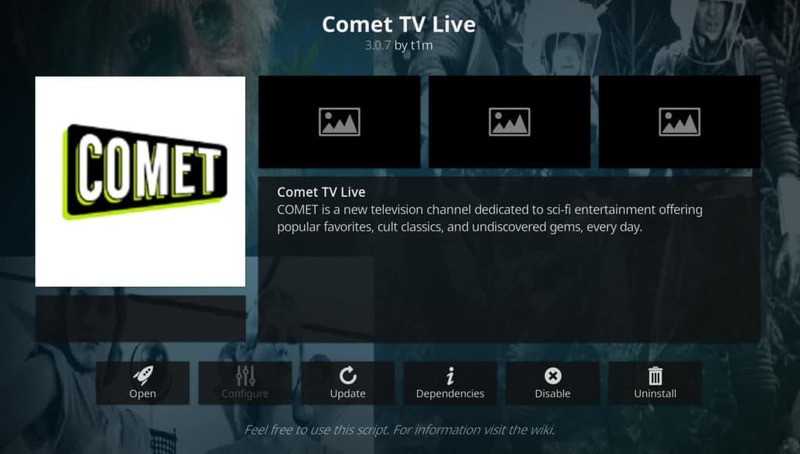 You can install the Comet Live TV Kodi addon from the Official Kodi Addon Repository. Additional note: Comet TV Live is designed to work with Kodi version 18 Leia, and also uses a video player tool called InputStream Adaptive. By default, InputStream Adaptive is disabled in Kodi v.18. As a result, when you try to install Comet TV Live, you’ll get an error message and a failure to install. You’re done! 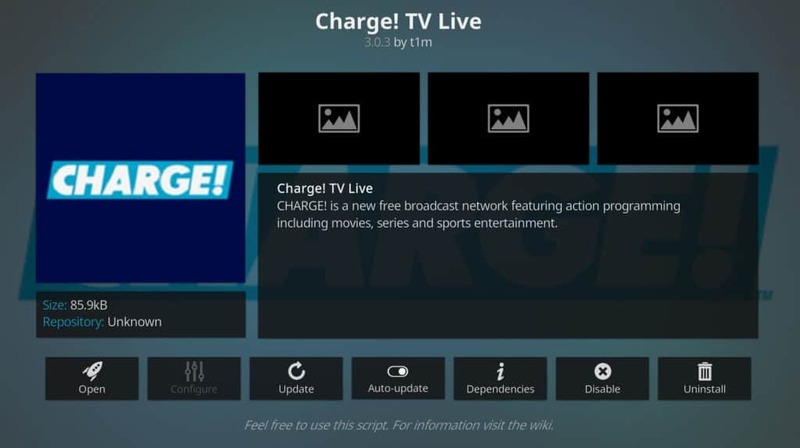 You should now be able to install and run Comet Live TV. One of the best IPTV services around, Pluto.tv is completely free to download and use. You’ll find hundreds of live TV channels available through Pluto.tv, including a some that are dedicated solely to playing movies and classic TV shows. Pluto.tv is a must-have for anyone that wants a hassle-free TV viewing experience. 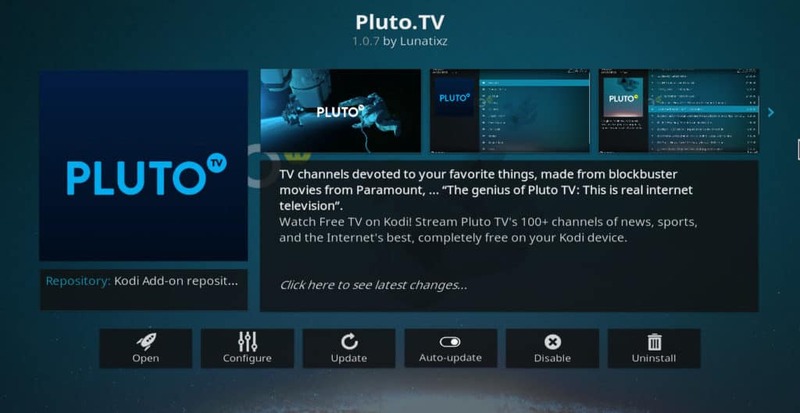 You’ll find Pluto.tv in the official Kodi addon repository. You can get some of the Shout Factory TV content from Popcorn Flix, but if you’re into cult classic B-movies and TV shows, you may just want to get it directly from the source. Shout Factory TV offers up hundreds of TV shows nad movies that will have you groaning and rolling your eyes. Even better, you’ll also be able to laugh along to commentary thanks to dozens of episodes of Rifftrax and MST3K offered through this addon. Thanks to DRM innovations with Kodi v. 18 Leia, Amazon Prime Video now works effectively through Kodi! If you have an Amazon Prime account, you already have access to Prime Video included in the cost. 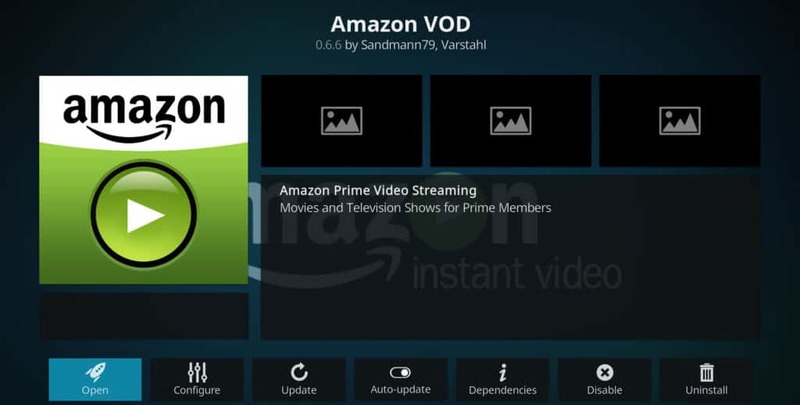 Using Amazon Prime Video with Kodi makes it easier to navigate the Amazon Prime Video system, which is fairly complex and user-unfriendly through a web browser or even through dedicated apps for other operating systems like Android of the Amazon Firestick. As with the Amazon Prime Video addon, you can now watch Netflix through Kodi thanks to DRM support on Kodi v.18. You’ll get access to your entire Netflix library through this addon, including search functions. Note that this addon is a work-in-progress and may be particularly buggy. You can install the Netflix addon for Kodi v.18 through the developer’s github. This one is somewhat of an obvious option. You can easily use the YouTube Kodi addon to find and watch all of the latest movie trailers. To find movie trailers using the YouTube Kodi addon, go to the “Search” section, and type in “movie trailers”. Then, go to “Channels”. Under “Channels” you’ll see a long list of YouTube channels dedicated to movie trailers. Alternatively, you can search for a specific movie if you’re looking for something in particular. HD-Trailers.net is one of the best movie trailer websites around. Thankfully, there’s an HD-Trailers Kodi addon available. You can find this addon in the official Kodi addon repository. This addon is incredibly easy to use. Browse for trailers by Latest, Most Watched, Library (alphabetical listing for all trailers), Opening This Week and Coming Soon. HD-Trailers pulls its trailers from a long list of sources, including Apple.com, Yahoo.com, YouTube, and directly from the HD-Trailers.net website. Kodi, the free and open source home theater software, allows you to stream media from a huge range of sources. They don’t come pre-installed, however, so you’ll have to install a few Kodi movie addons before you can start binge-watching interesting movies and TV shows. 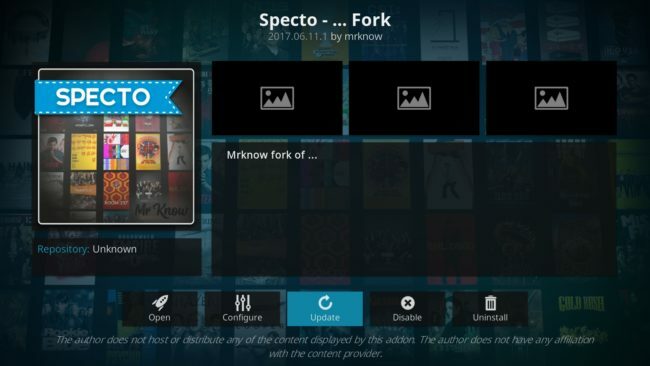 During your search for movie and TV streaming addons, you’ll come across two types: official Kodi addons that can be accessed through the Official Kodi Addon Repository, and addons that are made available through a large number of third-party repositories, such as Exodus or Covenant. Third-party addons carry significant risks over those found in the Official Kodi Addon Repository. Third-party addons can be hijacked by hackers and used to spy on user streaming activities. They can also carry other forms of malware which can be silently pushed on to users even if the addon was installed from a seemingly trustworthy source. Because third-party addons are not fully vetted, they carry significant privacy and security risks. Our guide will break down how to watch movies on Kodi and will walk you through installing some of the best addons for TV and movie streaming. We also give an overview of the privacy concerns related to popular third-party movie and TV streaming addons. At the very bottom of our guide, you’ll find a helpful overview of the most popular third-party Kodi movies and TV show addons that you may see recommended elsewhere. We provide an explanation of what those addons are, how they stream content, and what kind of content they provide. Laws and rules vary from country to country, so we recommend anyone looking to streaming content through third-party addons that offer “free” content to check on whether the content is legally offered, and whether it’s legal to view such content in your country. Expert Tip: No matter which addons you choose, we strongly recommend you employ a reputable, fast VPN when streaming video on Kodi to keep you safe and private online. A favorite VPN with the Kodi community is IPVanish, which works with all Kodi addons and with all of the most popular devices including Amazon’s Fire Stick. You can save up to 60% on IPVanish plans here. The following addons are ones we have seen listed on other websites as good recommendations. Below, we explain what each addon is, how it provides pirated content, and why we do not recommend you use it. What it is: Exodus is a movie and TV streaming add-on that’s particularly popular in the pirated streaming community. Exodus scrapes from different websites that offer pirated streams to then display that content in Kodi. Why should you avoid it? Although you can find some legal, uncopyrighted and public domain content in Exodus, such as the 1962 film The Brain That Wouldn’t Die (which interestingly failed to acquire its copyright before the film entered the public domain), most of the content available on Exodus is illegally pirated. You can access much of the same content by using one of the streaming options listed, such as PlayStation Vue. What it is: Covenant is currently the most popular Kodi addon in use beyond Exodus. An Exodus fork that popped up shortly after Exodus lost developer support, Covenant is used primarily for Kodi movie and TV show watching from unofficial sources. Why should you avoid it? 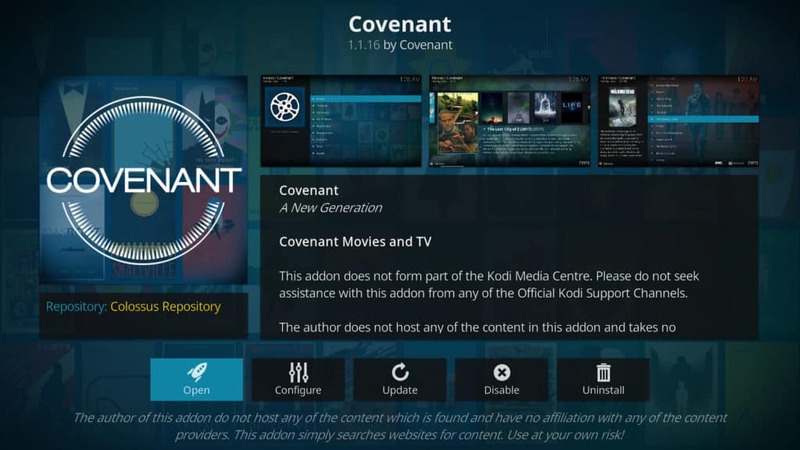 The reasons to avoid Covenant are the same as with Exodus, given this addon is an Exodus clone with the same emphasis on illegal streaming of copyrighted content, we do not recommend Covenant to Kodi users. What is it? 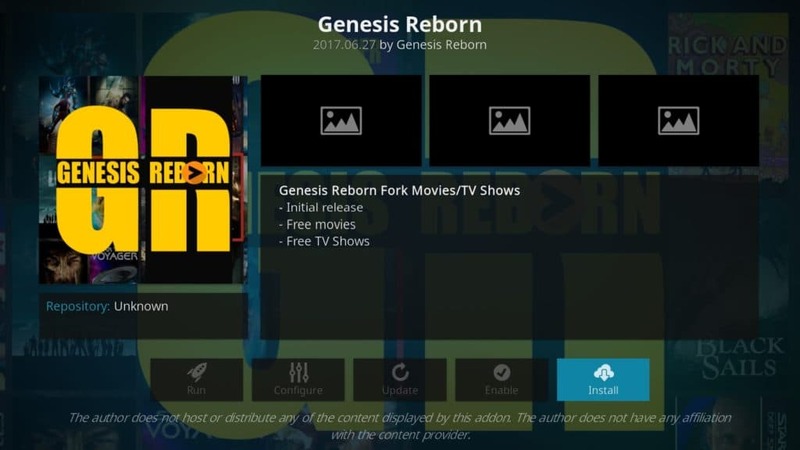 Genesis Reborn is a “rebirth” of one of the oldest pirate streaming addons available on Kodi. This addon is based on a similar architecture to Exodus, scraping streaming websites where pirated material is located and streaming that content into Kodi. Why should you avoid it? There are few redeeming qualities for Genesis Reborn if you are looking to keep your nose clean with only legally available content. For reasons such as a failure to renew copyrights, some public domain content is available here, such as the 1939 version of Gulliver’s Travels. Still, most of the thousands of movies and TV shows listed here are pirated and should be avoided. You can use alternatives, such as PlayStation Vue or USTV Now to get access to on-demand streaming. What is it? Elysium is a film and TV addon for Kodi, primarily dealing in illegally pirated streams. It scrapes sources from various locations around the internet and categorizes them. Elysium, which was formerly known as Zen, works similarly to Exodus and Genesis Reborn. Why should you avoid it? The story is the same here. Legal content is available, particularly public domain films and TV shows, but you’ll need to search for those and cross-reference with other sources to ensure you’re staying on the right side of the law in your country. Unless the content you see is in the public domain, it should be avoided. Given Elysium doesn’t distinguish which content is legal and which is pirated, you should avoid using this addon, opting instead of one of the official options listed above. What is it? SALTS is one of the more popular pirate streaming addons available. An acronym for “Stream All The Sources,” SALTS is a top contender when it comes to illegal streaming through Kodi. Why should you avoid using it? Broken record time: SALTS primarily deals in pirated content streams. You’ll find good, legal, public domain content (such as the 1962 horror film The Last Man on Earth) through SALTS as long as you know what you’re looking for. Still, this addon is a prime example of what a pirated streams addon looks like, drawing the vast majority of its content from illegal sources. Use any of the options given in the official addons list as alternatives. What is it? Specto is yet another piracy addon in the same family as Exodus and Genesis Reborn. While the official heir is Exodus, the old Genesis addon was forked and turned into Specto. The Specto Kodi addon not only allows for pirated streaming but also serves up somewhat shady video downloading as well. Why should you avoid using it? Given it shares the same structure as Genesis Reborn, Exodus and the like, you’ll find that Specto also deals more specifically in pirated streams, with a small mixture of legal streaming options available. Outside of those public streams, the thousands of films and TV shows here are pirated, making this a bad choice for legal content. Instead, opt for the legal options listed in the official addons section. What is it? 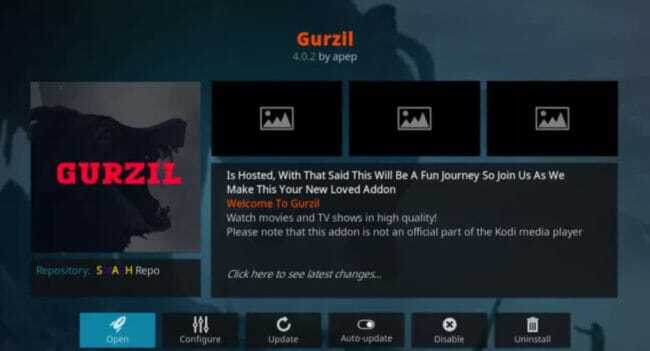 The Kodi Gurzil addon is an Exodus fork that operates just like the popular streaming addon. Gurzil pulls streams from various pirate sites and displays them in Kodi for easy viewing. Why should you avoid using it? Simply put, Gurzil shares the same problems you’ll find with the other third-party on-demand streaming addons. While public domain films exist, most users aren’t going there for these. Instead, the primary focus of this addon is on pirated content streaming. We do not recommend Gurzil given its heavy reliance on pirated streaming. What is it? Developed by the team at noobsandnerds, Bob Unleashed is a TV and movie streaming addon. Bob Unleashed is maintained by a handful of developers who each update their own sections with links from various streaming sources. Why should you avoid it? 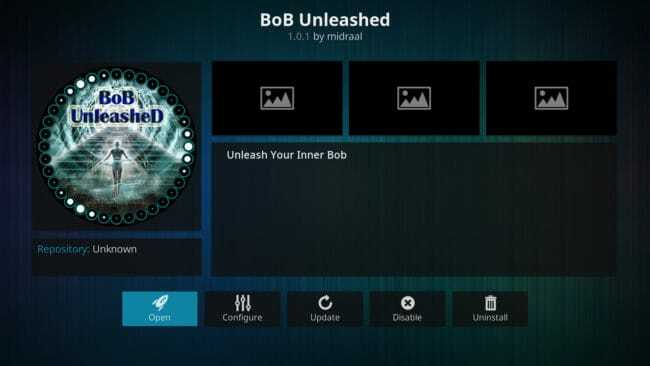 Although it maintains active development from a somewhat reputable source, Bob Unleashed hosts mostly pirated content streams. For that reason, we do not recommend users install or use Bob Unleashed. What is it? Focusing primarily on pirated streaming from unlicensed sources, Death Streams is a movie and TV show streaming addon that has been growing in popularity. A new SALTS addon fork, it pulls streams from some of the more well-known infringing websites and offers browsing of those sites through an organized menu. Why should you avoid it? There may be a small handful of options available on Death Streams that are published under a public license. However, the majority of the content available through this addon is often obtained and streamed without permission from the copyright holders. For that reason, we do not recommend the use of the Death Streams Kodi addon. What is it? 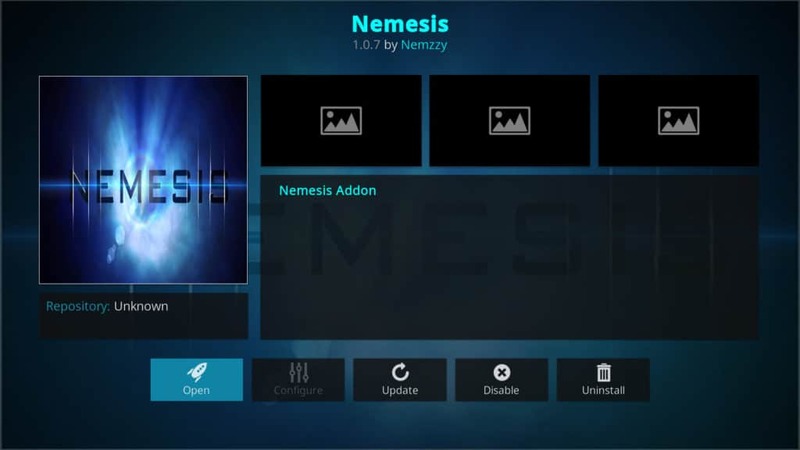 The Nemesis Kodi addon may live up to its name…for copyright holders. This addon provides easy access to various streaming websites that host unlicensed copyrighted content. Nemesis also includes live TV streaming from various sources as well. Why should you avoid it? To be fair, Nemesis isn’t all bad. This addon has perfectly legal streaming options from police scanners and webcams, as well as features that allow it to play eBooks. However, the vast majority of the content Nemesis offers is illegally streamed content. For that reason, we do not recommend Nemesis for Kodi users. What is it? 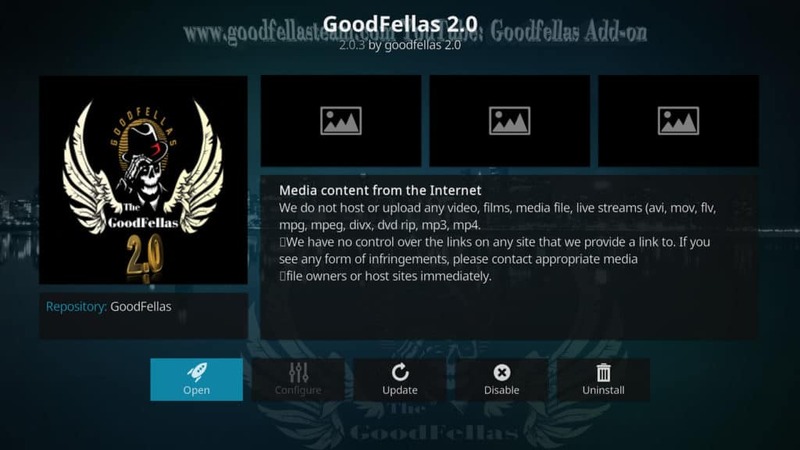 An upgraded version of the former, popular Goodfellas addon, Goodfellas 2.0 is a live TV streaming addon with some on-demand movie and TV show options. Most content here is unlicensed, although there are some legal options available. Why should you avoid it? For the most part, Goodfellas 2.0 is best used by those looking to get around having to pay for licensed and copyright content. Goodfellas 2.0 access mostly streaming sources that do not source their content legally with copyright holders. For that reason, we recommend users avoid Goodfellas 2.0. 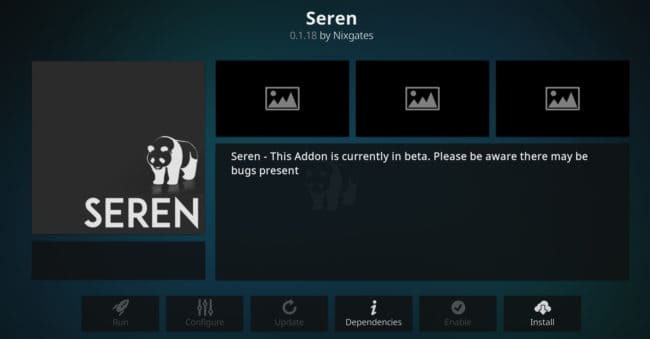 Seren is currently the hottest thing on the block among the third-party Kodi addon crowd. Made by the developer who designed the popular Incursion Kodi addon, Seren ups the ante quite a bit. It focuses on using integration with debrid services but also scrapes directly from some popular file lockers. Long story short, Seren has little use for anyone looking to stream movies and TV shows on Kodi legally. Seren pulls from mostly illegal sources. And although there are some videos pulled legally from YouTube, most are coming from unofficial sources that break copyrights. 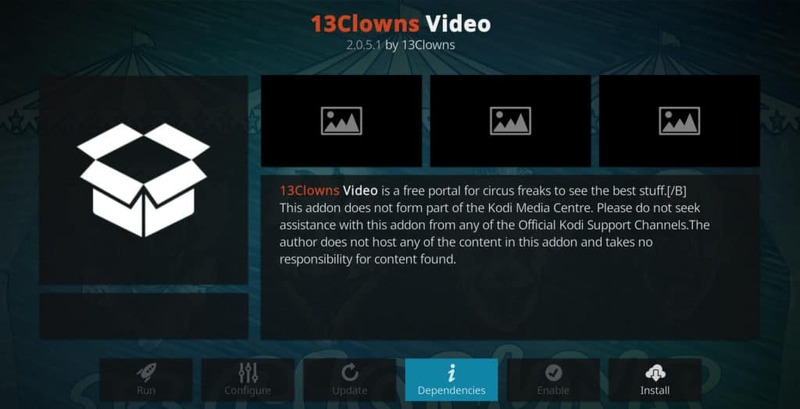 A streaming addon for on-demand TV shows and movies, 13Clowns has gained a lot of popularity in 2019. This Exodus clone uses a new scraper that supposedly improves upon the old Lambda Scrapers built into the original Exodus. Despite the popularity, this addon is unfortunately still infringing on copyrights, and not one we recommend for Kodi users. To install these addons on Kodi, you’ll first need to set up their respective repositories. A repository is like a library full of addons you can install at will from within Kodi. Some repositories require manual installation, while others like Fusion allow you to use a simple addon installer. Learn how to install Kodi addon repositories like SuperRepo, Smash, Kodil and Filmkodi here. Addons that you can directly download via a zip file do not require you install a repository first. Do you know of more TV and movie addons for Kodi that we should add to this list? Let us know in the comments! 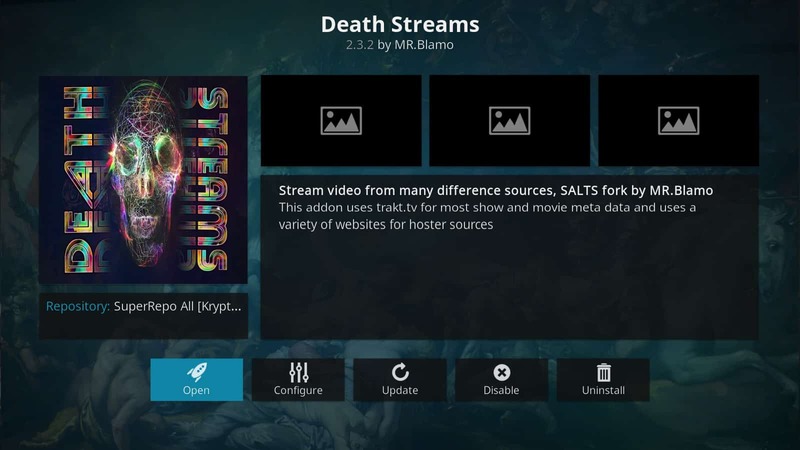 Kodi v17.3 “Krypton” is the latest stable version of Kodi available for download. On devices with standard web browsers, simply download the app from the official website and install it to get started. Once installed, you may download addons from the official repository or install new repositories. Check out this tutorial on how to set up Exodus as an example. This should work for Windows, MacOS, and Android smartphones. iOS is a bit trickier because Kodi is not available from the App Store. If you want to install Kodi on an iPad or iPhone without jailbreaking it, we recommend using the Cydia Impactor app to move Kodi from a desktop to your iOS device. Android-based streaming devices like the Amazon Fire TV Stick and Roku require a bit more work to get Kodi installed an running. To download Kodi on a Fire TV Stick will require sideloading apps or using the Downloader application. The only way to get Kodi running on Roku without, is to “cast” or “mirror” another device. Related: Are you having Kodi buffering issues? See our guide to 2 quick Kodi buffering fixes. If i’m right, PlayOn authorize to download and play a movie available on a SVOD service like Netflix. So i need a subscription on the SVOD service and a separate subscription on Playon ? Unless you have a movie rental service that lets you download those movies, you won’t be able to play them on Kodi. However, if you can download them, you can use Kodi as your Media Player instead of your device’s native video player. I can’t either and I’ve tried lotta different add ons. You’ll probably need to configure the VPN on your wifi router or a virtual router to use it with a smart TV, as smart TVs generally don’t support VPN software.